The Yoga Tutor publishes yoga articles with a unique insight into the practice of yoga as well as important things about yoga that are frequently overlooked by most authors. Is yoga at home the answer? Yoga Instruction Online - Buyer beware! Doing Yoga? Don't Go In The Water! Why Are There So Many New Yoga Styles Today? Learning Yoga Online - Can It Really Be Done? Yoga Classes - Are They a Licence To Print Money? What That All Got To Do With Yoga? 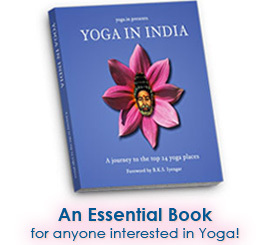 All articles published on this website are the Copyright property of Yogacharya. You may freely place links directly to any of these articles from any third party website. You may NOT reproduce any yoga article published on this website, in whole or in part, without the expressed written conscent of Yogacharya. CLICK HERE for inquiries regarding reproduction of any yoga articles published on this website.